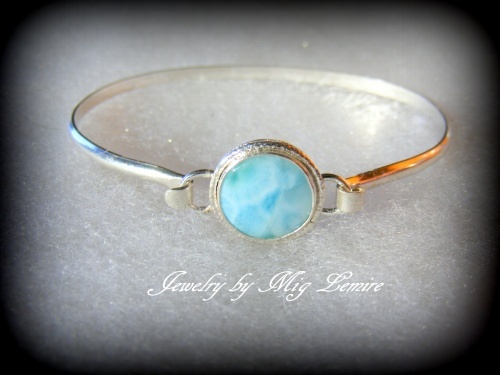 This tropical larimar gemstone is the perfect simple but sweet forcal for this sterling silver bangle. Soldered with a sweet twisted wire to make the stone show up yet its beautiful colors. Bangle is size medium fits most any wrist.